From the creator of The Fantastic Flying Books of Mr. Morris Lessmore and The Guardians of Childhood comes an grand adventure of valor, friendship, and a look into the mysterious world of favorite toys.In the secret realm of toys, there are many mysteries. There is the Code of the Toys, which is as ancient as childhood. There’s also the magic of becoming a child’s favorite, the highest honor in the Toy World. 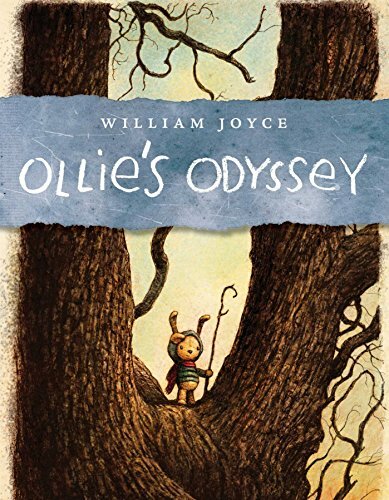 Made by hand by Billy’s mother, Ollie is a special toy, “a toy who will matter.” He becomes Billy’s best friend, confidant, pal, and yes, Billy’s “favorite.” But there are villains in the Toy World, and Zozo, the clown king, is the most feared. He and his toy henchman (the Creeps) have sworn to steal and imprison favorite toys until they forget their children and become forever lost. When Ollie is toynapped, Billy must rescue his beloved favorite from Zozo’s subterranean lair in the old Carnival Place, past the park, through the woods, and into the night. Never has a journey of ten blocks been more epic.